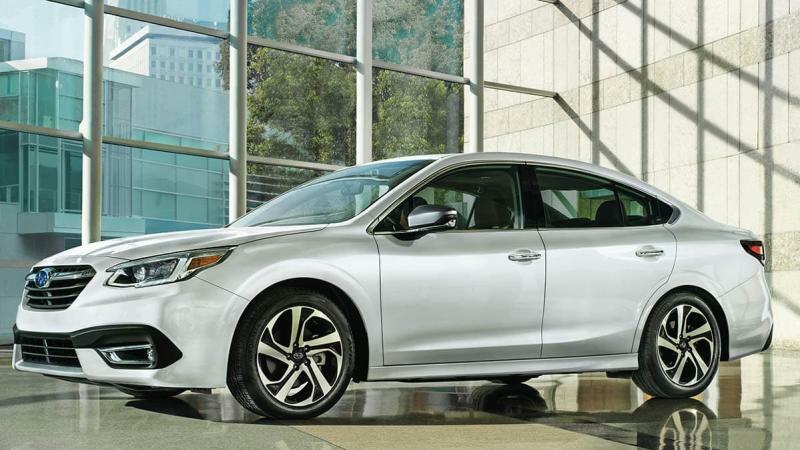 The all-new 2020 Subaru Legacy was unveiled at the Chicago Auto Show in February, and we caught up with it at the New York International Auto Show in April to produce a video first look. 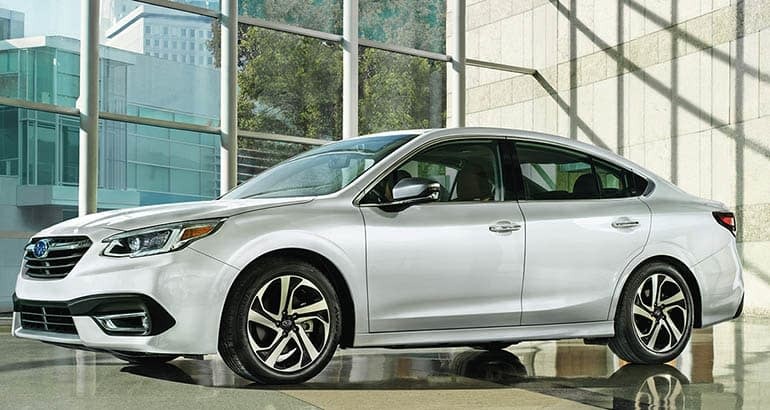 The redesigned sedan, equipped with new technology and safety features, is based on a platform shared with the Subaru Ascent and Forester, two high-scoring, solid-feeling vehicles. The automaker claims the body is much stiffer than the outgoing model’s, promising improvements to ride, handling, and noise suppression. 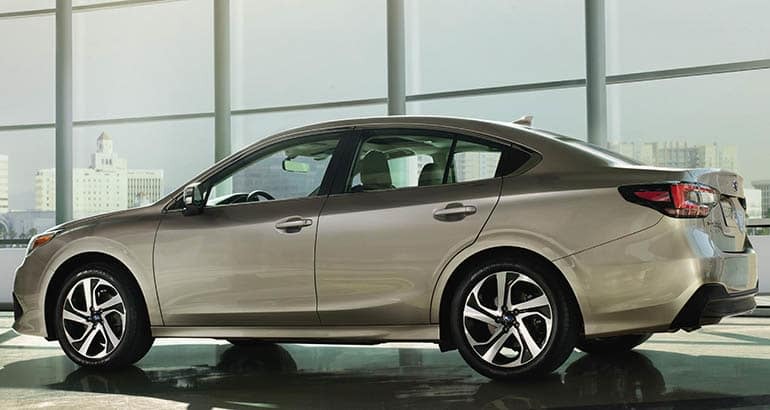 Subaru is also raising the Legacy’s performance by adding an optional turbocharged engine that produces 260 hp. In addition, Subaru says it has improved its EyeSight safety system and added an optional iPad-sized infotainment touch screen. The Legacy will be offered in Base, Premium, Sport, Limited, Limited XT, and Touring XT trims when it goes on sale in the fall. (XT designates the version with the turbo engine.) Every Legacy is fitted with all-wheel drive. And the new Legacy previewed the next Subaru Outback will bring. Check out the 2020 Subaru Outback. The exterior design is only evolutionary, shifting familiar elements from the current car, such as the grille shape, defined wheel arch, and kinked chrome accent at the rear pillars. The headlamps have a more complex design. The Touring trim has a unique grille with a black crossbar, black side mirrors, a trunk-mounted spoiler, and dark 18-inch wheels. The most dramatic interior change is the 11.6-inch infotainment screen in all versions except the base trim. This is the largest screen ever offered in a Subaru. It houses the controls for entertainment, climate, and vehicle settings. There is a top version that adds a navigation system from TomTom. Rather than pay for the upgrade, buyers can use the Android Auto and Apple CarPlay compatibility, tapping into their smartphones for directions. The display can operate in a split-screen mode to allow two separate functions to be shown simultaneously. And, for the first time, the Legacy offers WiFi connectivity. There are 10-way-adjustable front seats, heated front and rear seats, and an adjustable bottom cushion length for the driver in the Limited and Touring trims. The seat heaters now provide warming all the way up to the shoulders. Subaru claims the interior is 3 decibels quieter at highway speeds than it used to be, helped by special door weather stripping and sound-insulating glass. We found that the current car already effectively mutes road and wind noise. The Legacy comes standard with a 2.5-liter engine that produces 182 hp, up slightly from the last version. This is the same engine that debuted in the Forester, where it helped the small SUV return impressive fuel economy, but the acceleration is decidedly tepid. Subaru estimates that this powertrain will be Environmental Protection Agency-rated at 27 mpg city and 35 mpg highway, a slight increase over the previous Legacy. For uplevel versions, the 3.6-liter six-cylinder engine has been supplanted by a turbocharged four-cylinder, as has been the trend in this segment. Models designated XT will feature this 260-hp, 2.4-liter engine, the same one that powers the Ascent. Subaru estimates that the turbo powertrain will be EPA-rated at 24 mpg city and 32 mpg highway—a significant improvement over the retired six-cylinder engine. Both Legacy engines are paired with a continuously variable transmission. 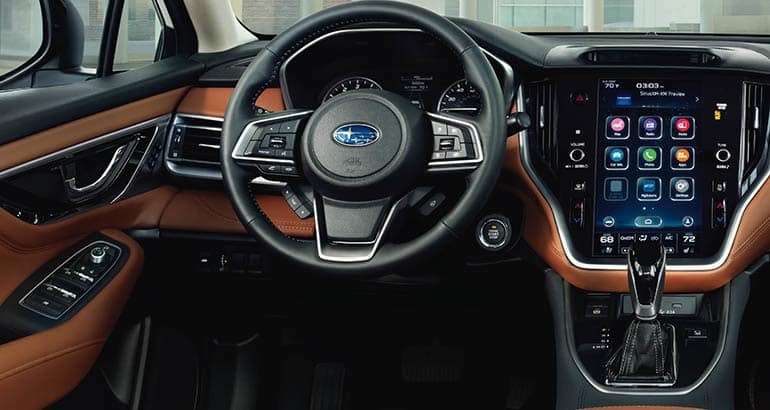 All Legacy models will be equipped with Subaru’s EyeSight system, a suite of advanced safety and driver assist systems. It includes automatic emergency braking, forward collision warning, lane departure warning, adaptive cruise control, and now lane centering. Other features include responsive headlights that rotate as the car turns, blind spot warning, and rear cross-traffic alert with automatic braking. A Front View Monitor system presents a 180-degree view on the large center display that essentially helps the driver “see” through blind spots and can help with parking. The Legacy also offers a driver monitoring system that uses a camera and facial recognition software to monitor whether the driver is distracted or falling asleep. When we experienced this system on the Forester, we found that it could detect some gross head movement, such as when drivers have turned away from the road, but it could not discern some risky behavior such as gazing at a handheld phone. The Subaru Legacy has been a top performer in Consumer Reports tests, with strong reliability and owner satisfaction ratings, based on member surveys. This redesigned version looks to build on that heritage. The promise of improved fuel economy, a quieter cabin, added safety features, and a more advanced infotainment system should add appeal and build on this model’s 30-year legacy. See our current Subaru Legacy road test.